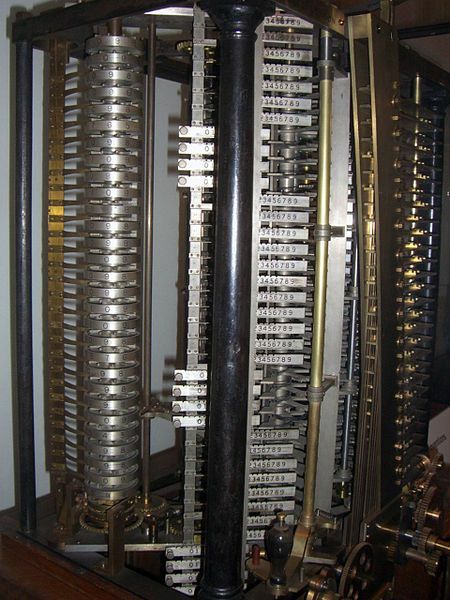 processor, and a storage space for intermediate calculations,and could be programmed to perform specific calculations by use of punched cards. Both machines were mechanical, not electrical, powered by steam. 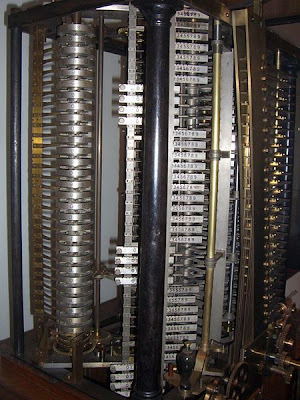 Neither machine was built prior to his death, due to a lack of money and the expertise to manufacture the needed parts with the required precision. computer program, making the Countess the first computer programmer. It is hard to overstate the Countess' accomplishment. She had no high-level programming language, no libraries, no integrated development environment, not even an assembler or a debugger; she was working on "bare metal" — literally! The only documentation she had was that which she wrote herself.And she was working in untrodden territory, as there were no textbooks about programming, no tutors, no "Learn X in 21 Days" to help her. She didn't even have a machine to run her program. It is amazing that she wrote the program at all; incredibly, moderncomputer scientists have examined the program and declared it bug-free, and today’s programmersmust simply stand in awe. The Countess was not only the first computer programmer, she was also an extremely talented one. The successive Bernoulli numbers are computed in order, each feeding the computation of the next, the various numerators and denominators being computed according to the pattern in the formula. The very first programming language opened several prospect and opportunities in the internet world. Java, Visual Basic, PHP and other popular programming languages won't exist if it wasn't for it. They're the ones capable of running eminent computer software today. That's all thanks to the first-ever programming language.